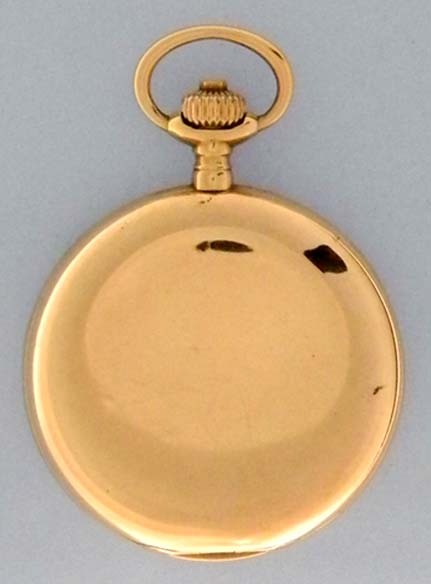 Fine German Lange 14K pink gold hunting case antique pocket watch circa 1902. 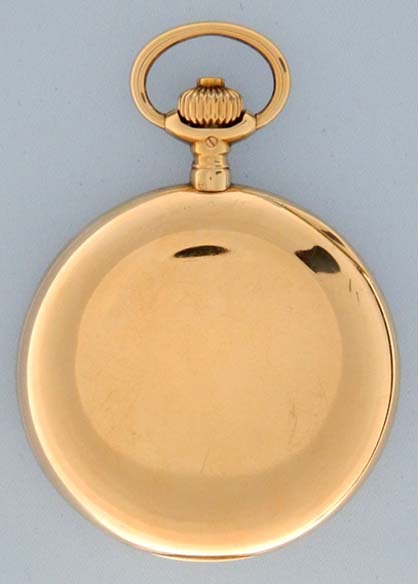 Plain polish 14K gold case. 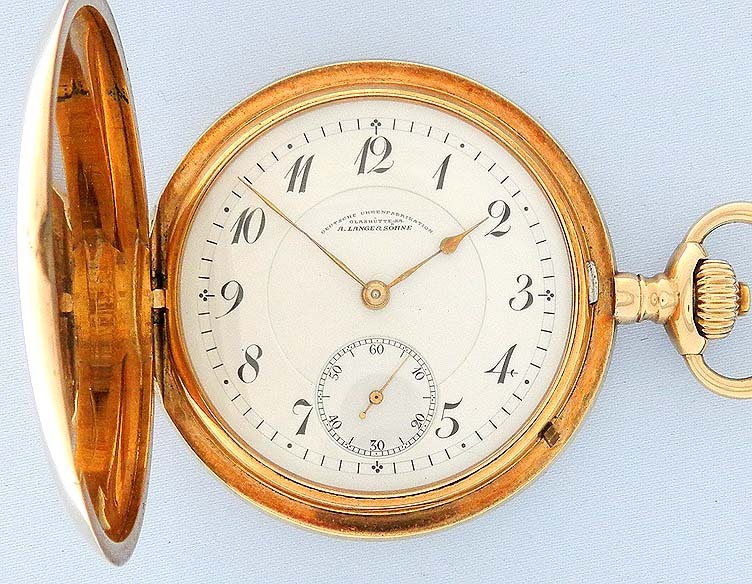 White enamel dial (hairline and scratch at center) with black markings and gold hands. 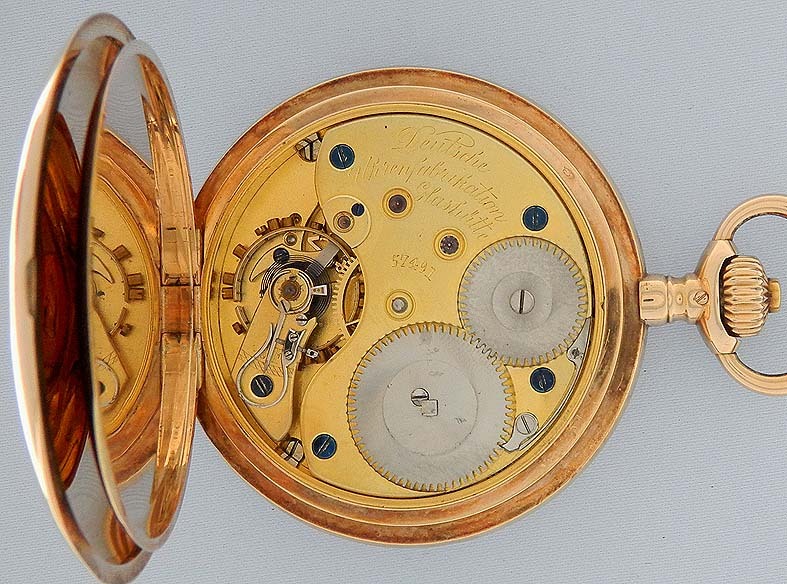 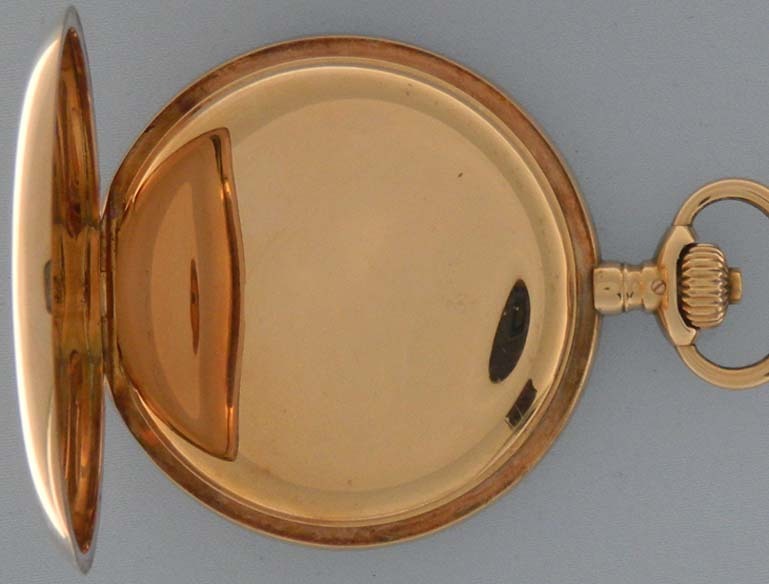 Frosted gilt 3/4 plate 15 jewel movement with precision regulator.